Browsing in a secondhand bookshop is second only to eating a curry or seeing Tottenham Hotspur lose. 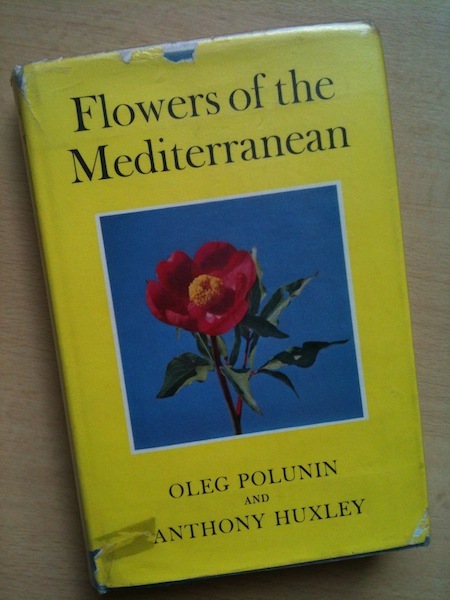 We’ve found an original copy of Flowers of the Mediterranean by Oleg Polunin and Anthony Huxley. It’s not a rare book but a delightful one with over 300 colour pictures, 128 line drawings and 700 species described. It was, apparently, the first of its kind to be published in Britain, in 1965. 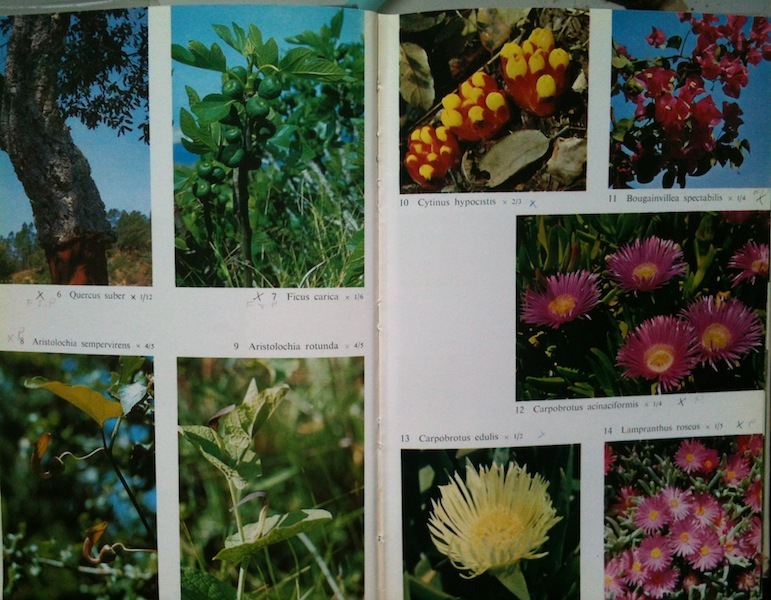 Often when we’re out walking we wish we could recognise more plants – so this book, despite containing photographs taken 50 years ago, will be a good guide. The pictures are unfaded too (the authors were keen photographers, as the book demonstrates). A previous owner annotated many of the pages, suggesting they travelled with the book and marked it when a species was found, much like a birdwatcher. Whether that was actually in Spain, who knows. Maybe they even enjoyed a drink in Órgiva after a hot day in the sun, searching for plants. The blurb on the cover says: ‘[the] typical plant communities of the Mediterranean zone, and man’s effect upon them, is particularly interesting‘. Sounds familiar… And modern day meteorologists will be interested in the climate charts which includes a graph stating Gibraltar’s average rainfall was 30.4 inches. Is it the same today? Anthony Julian Huxley, nephew of Aldous, was a horticulturist and botanist who grew up in London Zoo (not literally, he spent a lot of time there). He went to Cambridge, wrote and compiled over 40 books and died in 1992. His last commission was as general editor of the four-volume New Royal Horticultural Society Dictionary of Gardening. Here’s his obituary in The Independent at the time. Oleg Polunin was a botanist and teacher who went to Oxford. He taught for 30 years at Charterhouse school and wrote several books including his best-known Flowers of Europe, published in 1969, and Flowers of the Himalaya in 1985. This book is one to treasure and one we’ll take with us on future walks.